The relevance of the analysis of indicators of maternity obstetric service, which is a kind of tool for shaping the health of the population, not only now, but also for the future is not in doubt. Objective. To analyze the maternity obstetric service indicators in Russia in dynamics for 2006-2015 years, according to official statistics. Materials and Methods. Official statistic data is analyzed by descriptive method of statistics. Results. The number of births in Russia has increased during the period of study for 30.1%, and was higher than the level of 1991, from 2012. An increase in the frequency of ectopic pregnancy was marked during the study period (from 1.62 to 2.6% of all reported pregnancies). Analysis of data on the incidence of pregnant women found that its high level saves over the last six years (about 80%). At the same time there is a decrease incidence of anemia among pregnant, extragenital diseases and preeclampsia. Violations of labor decreased for 18.4% in 10 years, their number in 2015 is 88.4 for 1000 labor, that is lower, than in 1991 (96.5‰). The frequency of bleeding during childbirth has decreased during the observation period by 11.4%, the number of bleeding in the 3 period of labor decreased, whereas in the postpartum period and because of the placenta detachment and because of coagulopathy- increased. The number of caesareans has increased two times over 10 years. Conclusion. Analysis has shown favorable trends reproductive situation in the country – an increase in the number of births, the decline of reproductive losses, some complications of pregnancy and childbirth. At the same time a high level of controlled disease in childbirth (bleeding, sepsis) determine ways to improve maternity obstetric service. 1. Arkhangel'skiy V.N. On assessment of reserves for increasing birth rate in Russia and its regions. In: “Demographic present and future of Russia and its regions”, All-Russian scientific and practical conference. Proceedings [K otsenke rezervov povysheniya rozhdaemosti v Rossii i ee regionakh (In Russian)]. Moscow. 2012; 11-25. 2. Baybarina E.N., Dektyarev D.N. Rossiyskiy vestnik perinatologii i pediatrii. 2013; 58 (5): 4-7. 3. Bantyeva M.N., Prilipko N.S. Sotsial'nye aspekty zdorov'ya naseleniya. 2013; 29 (1). URL: http://vestnik.mednet.ru/content/view/457/30/lang,ru/. Accessed: 15.05.2016. 4. Baranov A.A., Velichkovskiy B.T., Kuchma V.R. Rossiyskiy pediatricheskiy zhurnal. 2010; (5): 4-7. 5. Vishnevskiy A.G., Andreev E.M. Voprosy ekologii. 2001; (1): 27-44. 6. Guseva E. V., Aleksandrova G. A. The Main indicators of mother's and child's health, the activities of the service for the protection of childhood and maternity in Russian Federation. [Osnovniye pokazateli zdorovya materi I rebyonka, deyatelnost' sluzby okhrany detstva i rodovspomozeniya v Rossiiskoy Federscii (In Russian)]. Moscow. 2012; 191. 7. Zakharov SV. Has an increase in the birth rate in Russia finished? [Rost chisla rozhdeniy v Rossii zakonchilsya? (In Russian)] URL: http://polit.ru/article/2011/03/14/demoscope453/. Accessed: 10.05.2016. 8. Kulakov V.I. Vrach. 2006; (9): 3-4. 9. Starodubov V.I., Sukhanova L.P. Reproductive problems in demographic development of Russia [Reproduktivnye pproblemi v demografichescom razvitii Rossii (In Russian)]. Moscow. 2012; 320 p.
10. Starodubov V.I., Sukhanova L.P., Sychenkov Yu.G. Sotsial'nye aspekty zdorov'ya naseleniya. 2011; 6 (22). http://vestnik.mednet.ru/content/view/367/30/lang,ru/. Accessed: 10.05.2016. 11. Sukhanova L.P., Leonov S.A. Sotsial'nye aspekty zdorov'ya naseleniya. 2010; 14 (2). http://vestnik.mednet.ru/content/view/201/30/. Accessed: 10.05.2016. 12. Sukhikh G.T., Adamyan L.V. Problemy reproduktsii. 2012; Special issue: 5-10. 13. 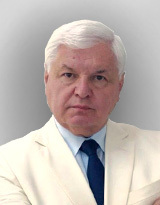 Filippov O.S., Guseva E.V., Frolova O.G. Rossiyskiy vestnik akushera-ginekologa. 2008; 8 (2); 9-12.